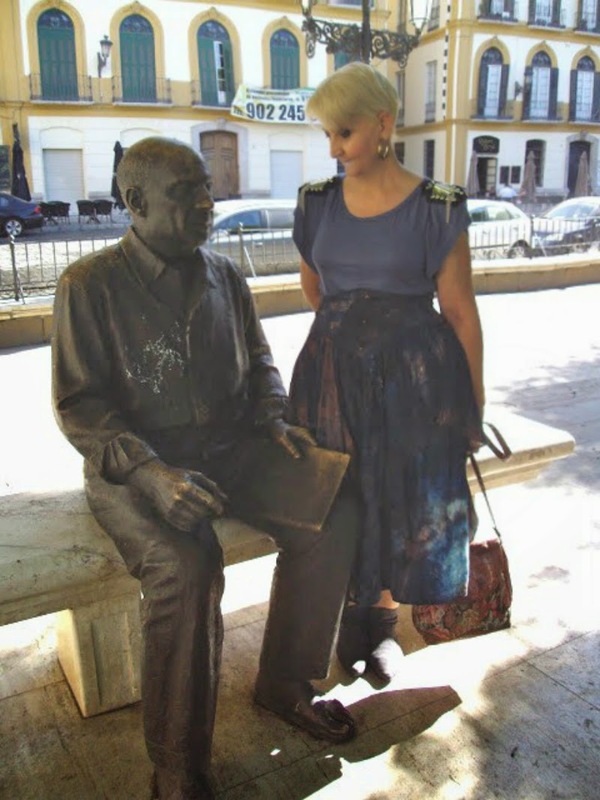 If you come to Málaga, a visit to Picasso´s birthplace and museum is a must; you can also whisper a few words into his bronze ear afterwards at " Plaza de la Merced". Si vienes a Málaga tienes que visitar el lugar de nacimiento y museo de Pablo Picasso; después puedes susurrarle unas palabras en su oído de bronce en la "Plaza de la Merced"
Posted by mispapelicos at 10:05 a. m.
Good Morning Sacramento, My husband loves Picasso's art and would love to visit the museum. Maybe in the future we will be able to visit Spain as it is a country I have never visited. You look as stunning as ever. Lovely look...have a good weekend...kisses..
Sacramento, so you live in Malaga? We go there all the time..that is one of our favourite cities to visit! We were there last spring and there was a traditional music festival going on, so many bands of roving musicians, it was so much fun! LOVE the colour blue on you! Love the pic of you with good old picasso! you are so gifted to live in a city like this. You look lovely as always Sacramento!!! If I do come over I will certainly whisper a few words. In the meantime, you are looking fantastic. Love this outfit. I'm looking forward to it. Great skirt, btw. Love Picasso and love your skirt! I must visit it some day...fabulous outfit! Sin duda es una visita obligada. 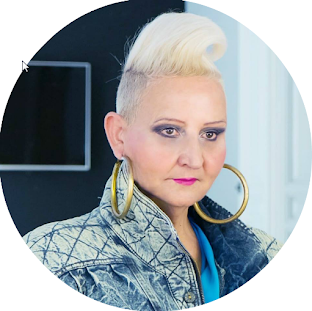 Tu vas de lo mas estilosa , perfecta para la ocasión. Bss.